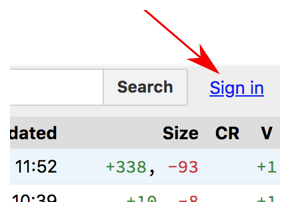 Head over to Gerrit, scroll to the bottom of the page and click the link "New UI". You can also work with the old UI, but then some things will look a little different. You will be prompted with a regular Basic Authentication window, simply enter your TYPO3.org username and password you had set up earlier. Click on your profile in the top right corner and click Settings. On the left hand side, click SSH Keys. Copy-paste the contents of your public ssh key file (e.g. 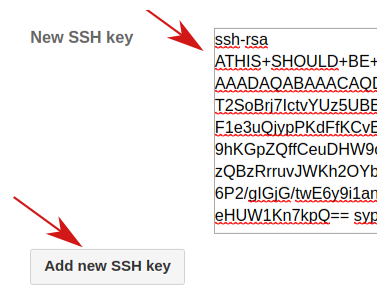 ~/.ssh/id_rsa.pub) into the text field next to New SSH key and then click on Add new SSH key. If you work with different computers, for example with a notebook at work and another computer at home you can either copy your private key or create a separate key for the other computer. Luckily Gerrit can handle multiple keys. Always keep your keys private. Never give them away. No member of the TYPO3 project will ever ask you for your keys.